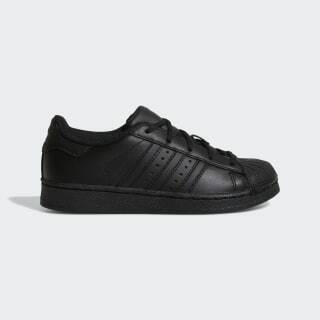 All the authentic lines and details of the original adidas Superstar sneaker, made just for kids. The iconic basketball sneaker from the '70s scaled down for small feet. 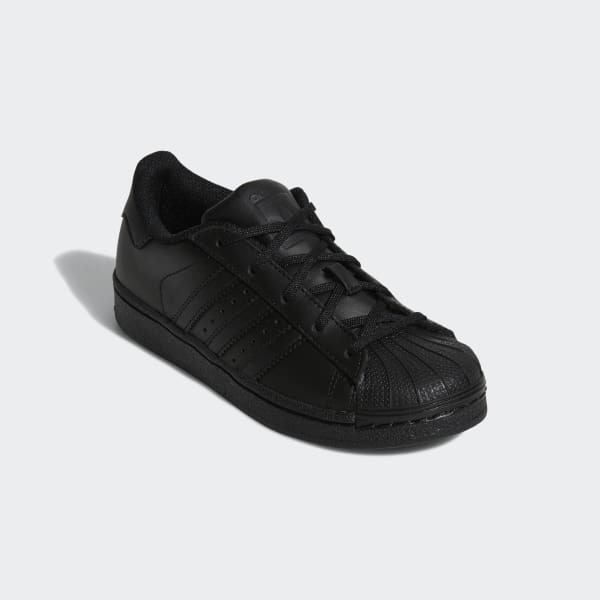 These kids' adidas Superstar shoes are made in leather with the famous shell toe and rubber cupsole. They come with elastic laces plus a set of regular laces.